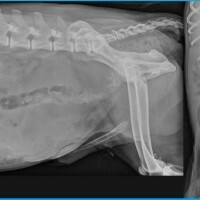 Vetpixel is a French site of Veterinary Teleradiology. Do not hesitate to contact Vetpixel's imagers for the interpretation of x-ray, ultrasound, CT, MRI, or scintigraphy. To help you in the interpretation of medical imaging studies and train you on real cases.